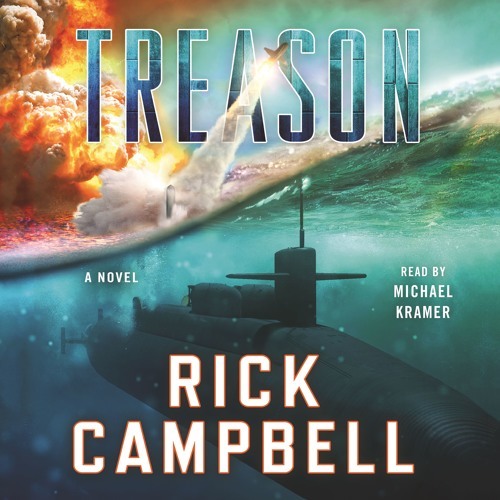 Listen to an excerpt of Rick Campbell's TREASON audiobook, read by Michael Kramer. In Rick Campbell’s newest thriller, a military coup in Russia leads to a swift invasion of former Soviet territories—while the U.S. has been rendered powerless to respond. In Russia, the military is anxious to assert its military strength and regain its role as a superpower. The Russian President refuses to greenlight a bold plan to disable American strategic nuclear capability and retake Ukraine and the Baltic States, fearing the potential consequences of involving nuclear weapons. But the generals won't have it and at the first opportunity, they overthrow the president in a military coup. Then they use a narrow window to initiate their bold plan—the Zolotov option—which will render all of America's B2 bombers and ballistic missiles useless. With the U.S. off the board, they swiftly invade Ukraine with an overwhelming force, an invading Army that even NATO can't hope to resist. Now, it's game on. Without their primary weapons, the U.S. has to find a way to fight back on multiple fronts. If they're to have any chance, they'll have to overcome the malware that has grounded their ballistic missiles and planes, as well as secretly land a SEAL team to help rescue the imprisoned Russian President, and help retake control from the forces that are driving Europe into a continental war. Rick Campbell, one of the finest young military thriller writers, returns with his biggest and boldest novel to date.